The $299 Nintendo Switch, not surprisingly, sold out quickly across the country. 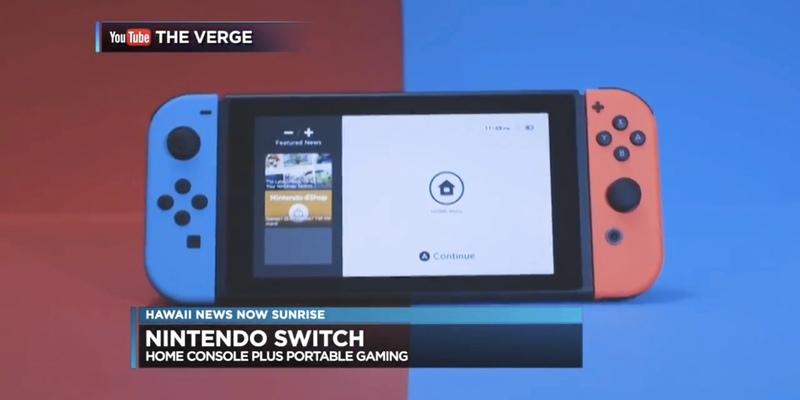 The new game machine is both a handheld (successor to the still-popular Nintendo 3DS and underwhelming Wii U) and a home console that hooks up to your big screen television (like the Xbox or PlayStation). At launch, not surprisingly, the game selection is limited, but a new and very well reviewed “Legend of Zelda” title should keep early adopters happy for a while. Nintendo’s main competition isn’t really Microsoft or Sony’s game consoles, though, but the omnipresent smartphone with increasingly complex games available at much lower prices. On the smartphone front, LG unveiled its latest flagship phone at Mobile World Congress. The LG G6 is an immaculately designed Android device with a not-too-big, not-too-small form factor. It has an extra tall (or extra wide) 2:1 aspect ratio and an impressively narrow bezel. It has two cameras, one with a wide-angle view, and on the software side, LG is loading the G6 up with photography tricks (especially if you love square photos). It’s a big play just as industry giant Samsung climbs its way back from a very bad year. Samsung hasn’t announced its next big phone, the Galaxy S8 (and S8 Plus), yet, but ahead of the March 29 unveiling, there have been countless leaks. So there are a lot of early details available on the S8, including confirmation that it will have a headphone jack. But what the company is really worried about is whether customers will still choose their devices after the Note 7 battery debacle. Indeed, Samsung’s advertising has emphasized its intensive battery testing. Samsung and other smart phone manufacturers can avoid a gigantic battery problem that plagued the Note 7 with the re-introduction of removable batteries to cell phones and all other mobile devices. None of this when the battery dies your device is obsolete. I like the fact that when you buy a new battery to replace a worn one that it adds new life to your device. So listen up Apple… Samsung…. Google…. LG… and all the rest!